Free Shipping Included! 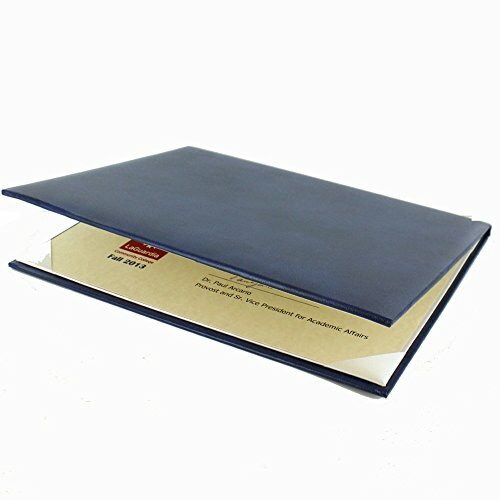 Padded Blue Certificate Holder With Acetate Cover - Pack of 3 by Awards and Gifts R Us at Easy Blogging Tip. MPN: XC9670BL-3. Hurry! Limited time offer. Offer valid only while supplies last. Padded blue certificate holder. Holds 8 1/2 inch by 11 inch certificate. Satin inside cover with satin corner pockets hold certificate in place. Padded blue certificate holder. Holds 8 1/2 inch by 11 inch certificate. Satin inside cover with satin corner pockets hold certificate in place. Acetate cover. Comes in package of 3. If you have any questions about this product by Awards and Gifts R Us, contact us by completing and submitting the form below. If you are looking for a specif part number, please include it with your message.